"American Idol" should have a Monkees theme week. I love the Monkees, completely and without irony. The singers would have a ball with their songs. 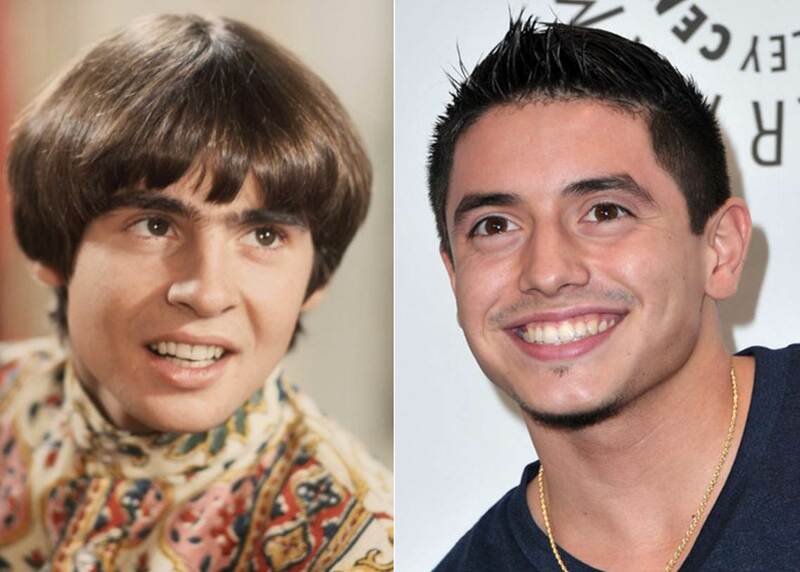 Casey would rock "Goin' Down," Lauren could belt out "Pleasant Valley Sunday" while having no idea what the lyrics mean, and Stefano would pretty much nail anything by Davy Jones, because they're kindred spirits. Stefano is a Nehru jacket away from pop superstardom. ﻿ Charlie Sheen has filed for trademarks on 22 of his catchphrases, including "Duh, Winning" and "Tiger Blood." I don't know how long it takes to obtain trademark protection, but it seems to me there's a window of opportunity here for a true entrepreneur to issue a crapload of cheap, low-quality merchandise emblazoned with the unprotected Sheenisms. Flood the market with the stuff now and scuff up the brand a little, before Sheen gets lawyered up. Also, the fabrics should be embedded with arsenic and the inks should produce a rash when touched. Maybe create an original design that says "Charlie Sheen trademarked 'Vatican Assassin' and all I got was this suppurating boil." I can't be the only one who thinks that would be hilarious. 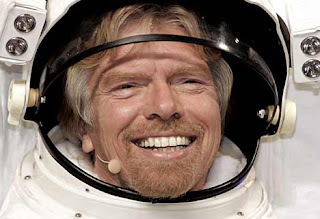 Richard Branson, I'm looking at you. You're hardly a stranger to crazy schemes. ﻿ I've lost interest in the idea of a Three Stooges movie since Sean Penn dropped out of the project. 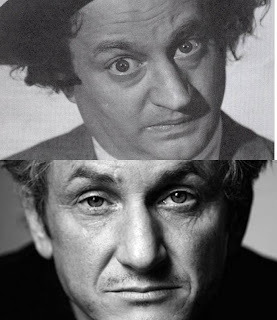 It's true: Penn originally planned to play Larry Fine. That certainly would have brought an edge of, er, gritty realism to the project. "Call me 'Porcupine' one more time, motherf***er." 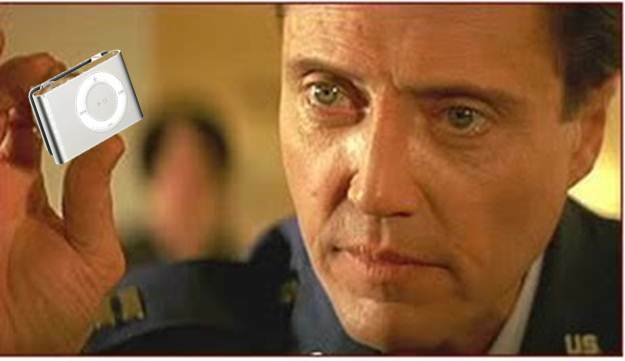 ﻿Did you know that Christopher Walken doesn't have a Twitter account, an e-mail address, a computer, or a cell phone? Seems he doesn't like technology. You know, I'm pretty much OK with whatever Christopher Walken does or doesn't like. before I realized I didn't have an iTunes account. Now, little man, I give this iPod Shuffle to you." Finally, I don't watch "Celebrity Apprentice" because I try to be at least a little selective about my pop-culture obsessions (Bronx Zoo Cobra, yes; Donald Trump comb-over, no). So I missed this wonderful meltdown on last Sunday's episode. Meat Loaf - my very favorite loaf-based singer - went off on poor crazy Gary Busey over missing art supplies. Art supplies. Seriously. Meat went all bat out of hell on Gary, who almost dropped his lozenge-shaped dental veneers in shock at the verbal beatdown. He practically started singing "I Would Do Anything for Love, But Those Are My Motherf***ing Sponges" right there in the Trumposphere. It was beautiful. And inspirational: From now on, whenever I'm feeling discouraged and thinking I just don't have my priorities straight, I'll remember that the man who sang "Paradise by the Dashboard Light" screamed at a bewildered recovering addict on national TV over a bag of crafting materials. While I like the idea of a Monkees theme, I disagree that anybody could pull of "Going Down" as well as Micky. I'm still a Monkees fan, and like you, it's un-ironic.